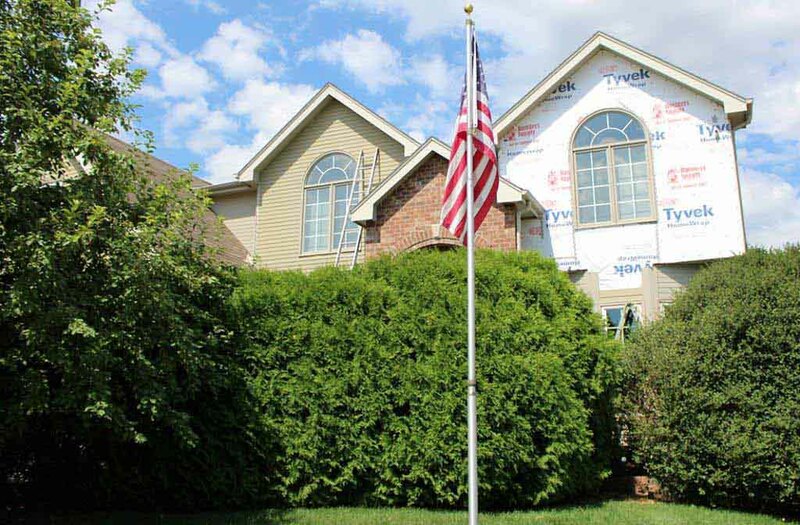 Residential Exterior Painting Services. 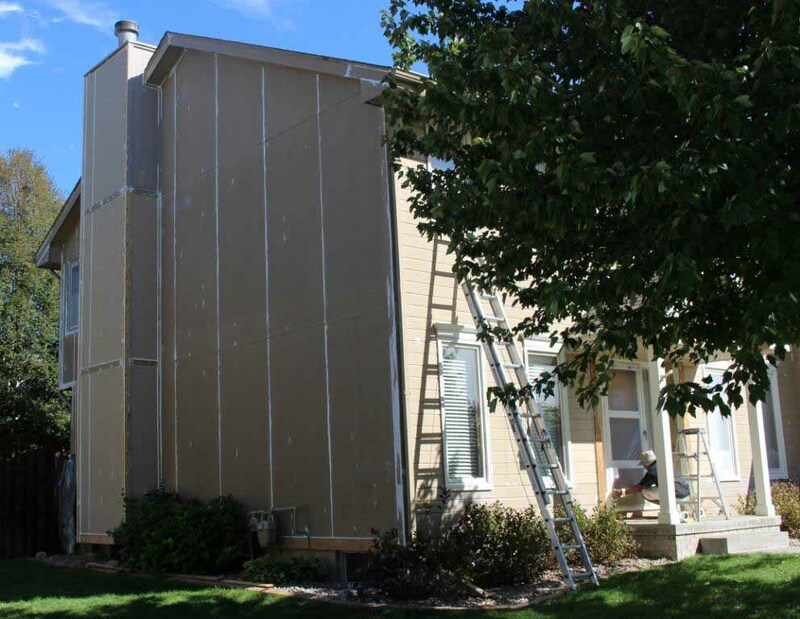 (402) 894-9001 House Painters Omaha, NE. 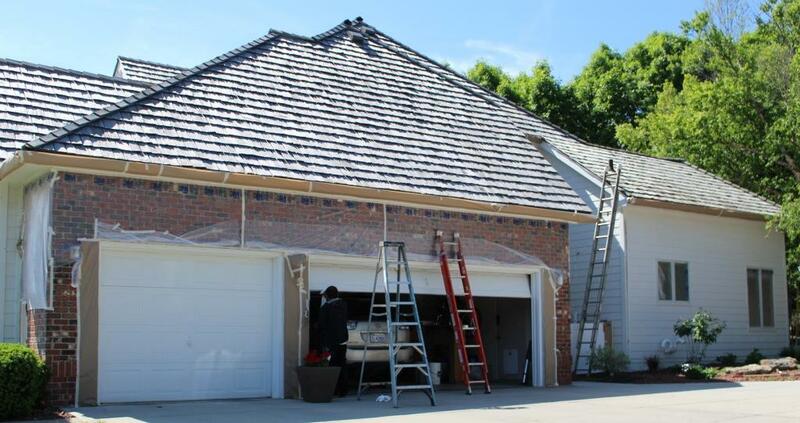 Call us for a complimentary estimate and evaluation if you are in the Omaha, La Vista, Papillion, or Bellevue area. 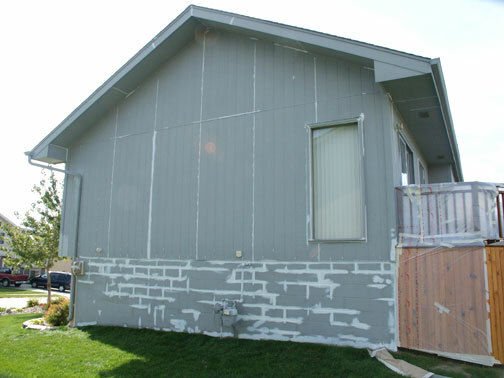 Priming is another important area that needs to be addressed before painting begins. All bare wood surfaces and stains will be primed with one of the following primers. Latex-based "Peel Stop" Primer - Performs like a glue to actually bond the edges of the old peeling paint to the bare wood surfaces. This helps prevent future peeling. 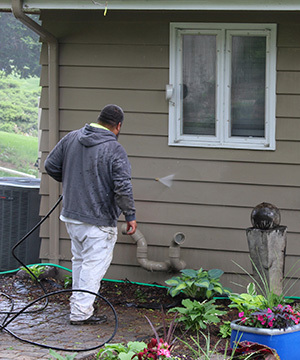 Oil-based, Stain-Blocking Primer - Contains special stain-blockers that are able to block rust and tannin better than latex-based primers. Woods such as new cedar, are prone to tannin staining. Definition of Tannin: Tan or brownish discoloration on the paint surface. Tannins exist in many woods, most notably cedar and redwood and can bleed through to the surface, leaving a yellowish-brown stain on the surface. These stains are more noticeable on lighter paint colors. Concrete & Masonry Primer - Seals and conditions porous, above-grade masonry surfaces. 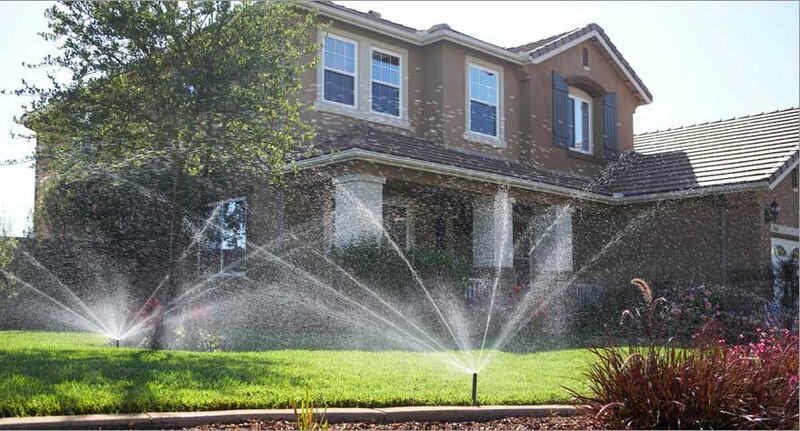 It tolerates the high pH common in new masonry and ensures a uniform look and long-lasting finish. Semi-Gloss - Glossier than Satin and is primarily used for accent trim such as front doors. Gloss - Not generally used in exterior applications. Items hung on exterior walls, such as pictures, fragile items or small keepsakes on shelves and dressers, should be removed. Small vibrations can cause these items occasionally to fall. 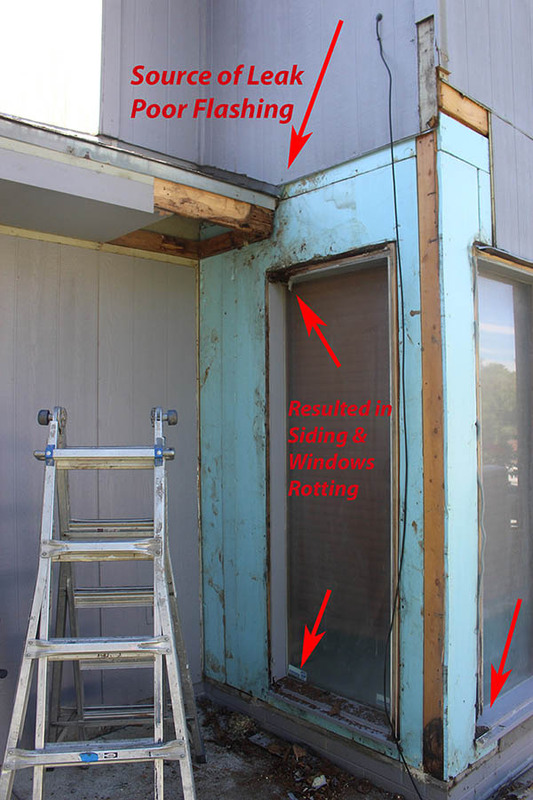 This is especially true when exterior siding or windows are being repaired or replaced. Do I need a Dumpster for Siding? 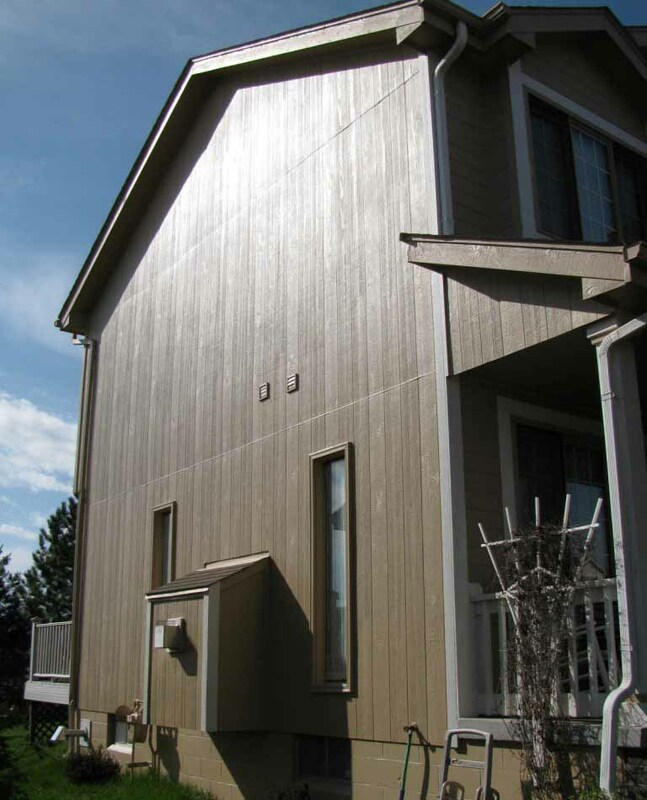 What type of Insulation is in your Exterior Walls?